Contains real fruit pieces. Fat free. Source of vitamin C.Fruit Bowls® Fruit, the way you like it. 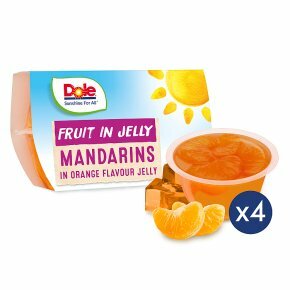 Dole Fruit in Jelly makes eating fruit fun and convenient by combining real fruit pieces with tasty fruit jelly.